Some thoughts now that the page is about to officially turn heading into an offseason that will shape the 2019 version of this football team. 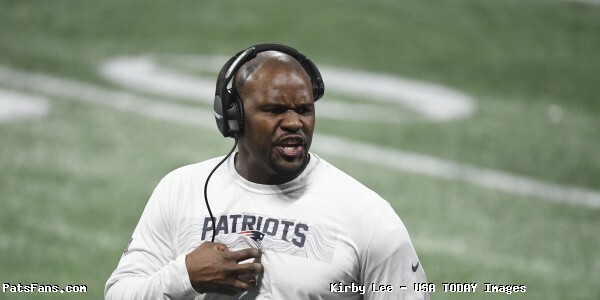 1) Patriots defacto defensive coordinator Brian Flores really did have a terrific season, showing another side of what this group was able to do defensively after a 2017 season where they weren’t anywhere close to as disruptive as they were in 2018. It was great to see and was a big reason behind their dominating performance against the Rams in their Super Bowl victory. One thing that was obvious this season was that the players really seemed to respond to Flores’ intensity and personality, which may end up being a void that the Patriots will have a tough time filling next season. With Greg Schiano coming on board to replace him, it’s going to be interesting to see if Schiano will garner the same type of respect that Flores had with a group that really played well for him. When Flores met with the Miami media following the Super Bowl, he sounded confident and said he has a plan that will involve some “bumps in the road” as he begins trying to turn the franchise around. The now-former Patriots coach made it clear that he didn’t accept the job on a whim, saying that he told the Dolphins that if the team didn’t share his beliefs, he wasn’t interested in the job. They have a long-term vision and he made it clear to the fans to expect some pain initially as he brings in guys who are “selfless” and put the team first. Past coaches really haven’t had much of an opportunity to build a good group of players there due to inept coaches who didn’t have the support of the front office. Dolphins GM Chris Grier knows Flores well during his time in New England and it’s obvious that he believes that he’ll be able to create a Patriot-like culture with Miami. After seeing what Flores accomplished in just one season, one thing is probably certain, for the first time in a while the Dolphins may finally, once again, become a thorn in the side for New England moving forward. 2) It’s not a surprise that most of the nation was displeased with the idea that the Patriots are again World Champions and Julian Edelman appeared to be the focus of their ire. 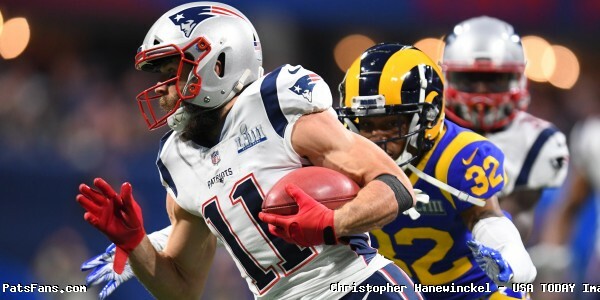 Edelman, who was obviously named Super Bowl MVP following his performance, ended up in the crosshairs of opposing fans who believed that he should never have even been on the field against Los Angeles to begin with thanks to his early season suspension for PEDs. Baseball writers point to the fact that a player who was suspended for using PEDs isn’t permitted to play in the MLB postseason, which was the argument that made its way around the internet on Monday following New England’s victory. The veteran receiver was big, catching 10 passes on 12 targets for 141 yards, with 8 of his receptions moving the chains. He also caught 3 of Brady’s 6 third-down completions, all of which were for first downs. It’s clearly a case of sour grapes among those who were unhappy to see Tom Brady and Bill Belichick raise another Lombardi trophy. However, it will be interesting to see if the anti-Patriot sentiment doesn’t potentially spark a discussion for a change this offseason. It wouldn’t be a surprise for the NFL to consider some sort of further penalty since this issue seems to come up among players throughout the league each year. As we know, given the history of situations involving the Patriots, the league loves to make a rule change to try and save face to figure out a way to stop a team that just continues to dominate year in, and year out. Roger Goodell loves this stuff. The prospect of being ineligible for postseason play would obviously make players think twice before taking that type of risk, especially since missing the first four games of the year isn’t close to the damage that would be inflicted if a team’s key offensive (or defensive) weapon was sidelined during a playoff run. Needless to say, don’t be surprised if we hear about this again during the offseason. But for now, it’s just noise and the fans made plenty of it in Boston when they celebrated during last month’s parade after an unbelievable year as New England won their sixth Lombardi trophy. 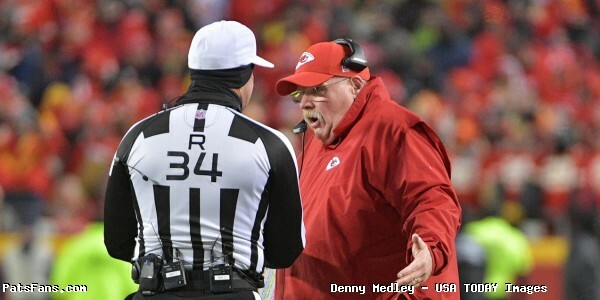 3) While we’re on this topic, this nonsense with the Kansas City Chiefs complaining about the overtime rules is getting old, with the subject coming up again this week after the Chiefs submitted a proposal to end the scenario where a first-possession touchdown in overtime no longer ends the game in the postseason. This is ridiculous. If anyone inside the NFL office is even leaning that way, they should take a good look in the mirror before they even consider making this change. 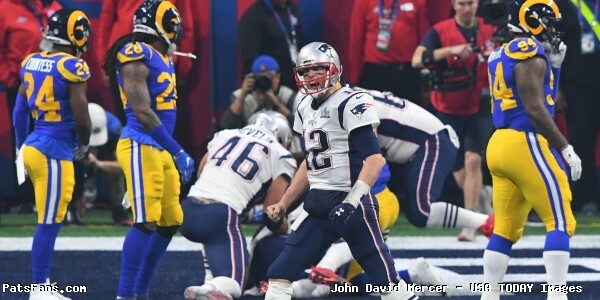 The Patriots have been a part of two incredible wins in overtime during the postseason in recent years, with both coming on opening drive touchdowns to earn the walk off victory. To change it now would indicate the NFL wasn’t happy about the outcome and would be trying to prevent those situations going forward. Let’s be serious. The league already once changed this rule as it pertained to field goals, which you could sort of make the argument because offenses really only needed a couple of big plays on their first possession in overtime to kick a long field goal and win it. Although given what we’ve seen from kickers in recent years, the difficulty surrounding that sequence doesn’t seem to garner the significance of pulling that off that people seem to think it does. But “it is what it is” at this point and the rule has already been modified. However, the idea now that an offense digging deep and driving the length of the field and scoring isn’t worthy enough of winning the game is ludicrous. The worst part about this situation is the league already has a key example in the New Orleans Saints, who after coming up on the wrong end of a bad call in regulation, were unable to score on their opening drive in overtime, which opened the door to the Rams winning the football game and moving on to the Super Bowl. That game more or less proved that scoring a touchdown isn’t a given, and the fact the Patriots wore down a terrible Chiefs defense and then executed at the critical point in the contest to win the game is a reminder this rule shouldn’t even be on the table for discussion. We’ve seen enough from the NFL over the years to realize that New England’s dominance is a key frustration behind the scenes. But if this rule goes through, it should set off a serious red flag that the league is just reaching at this point and reacting negatively to yet another incredible postseason run by this football team. 4) With our own Steve Balestrieri learning this week that a contract extension may be coming for Tom Brady, it’s good news for a team that will have essentially erased the narratives and speculation that would have surrounded his uncertainty heading into what would have been the final year of his deal. While Brady isn’t necessarily coming off of his best season, it’s obvious that even with the injuries he battled through last season and his ability to eventually overcome Wade Phillips tough game plan in the Super Bowl, he’s still playing well enough to potentially do it a few more times before he finally walks away. That’s a positive sign for the Patriots, who are still in need of grooming a successor and don’t have that person in the locker room at this time. Last year’s late draft pick, Danny Etling, showed some promise in the preseason, but he’s no where near the level of where Jimmy Garoppolo was and while seeing a late-round pick become a starter isn’t necessarily out of the realm of possibility (ie: Brady), we haven’t seen that from him just yet. This year’s draft will be interesting to watch from the standpoint of whether or not they view one of the guys coming out high enough to pass on another player in favor of taking a quarterback. That doesn’t necessarily mean they’ll target someone in the first round, since as we know, Garoppolo was a second round selection. But given the timing of where Brady is, this would be the right time to find a player they believe in who could spend 3-4 years learning in this system and eventually emerge as a starting-caliber player. That’s tougher than it sounds, especially knowing how hard it is to find an NFL-ready quarterback. One other X-factor in all this is Josh McDaniels, who has done a pretty good job of developing quarterbacks during his tenure here in New England. But if ever there was a time to hope that process was starting over again, this offseason would seem to be it. 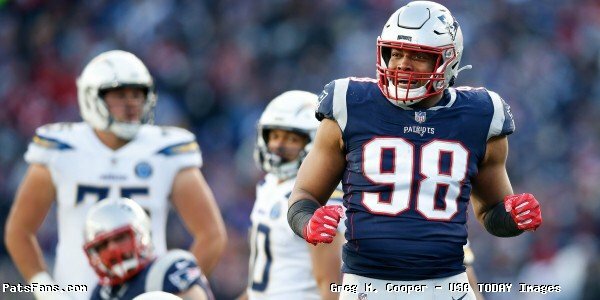 5) The addition of Michael Bennett reminds me of a couple of offseason scenarios over the years, which doesn’t make me feel overly confident in the future of defensive end Trey Flowers. Bennett’s arrival mimics one of the more surprising moves, highlighted by the signing of Danny Amendola when Wes Welker was headed to the free agent market in 2013. 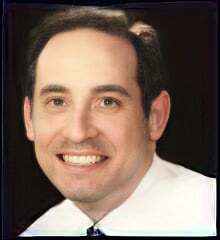 At the time, it was obvious that the Patriots signing of Amendola looked like they felt like Welker wouldn’t be back. So Bill Belichick appeared to take the step to protect his team from losing an impact player, essentially moving on after feeling that Welker sign elsewhere. Flowers seems poised to end up with a big payday, with the initial reports seeming to indicate that the veteran will hit the market and test the waters, which will likely spell trouble for the Patriots in terms of trying to keep him in the fold. While it’s not impossible, it seems unlikely and it wouldn’t be a surprise if someone like Flores brings Flowers in to help start building Miami’s defense. While Flowers’ numbers (7.5 sacks last season) aren’t among the NFL’s best, what’s scary to consider is the fact that those totals probably could have even been higher. While New England’s defense was more aggressive last season than it’s been in a while, he still wasn’t used in that role as much as he could have been. But that’s not how this scheme works. The Patriots’ defense is much more disciplined and it prevented him from ending up on the highlight reel since most of his best work really came from the plays he made that flew under the radar. For teams who take the time to look at that body of work, they may realize that Flowers is a complete player who has only scratched the surface of what he’s capable of. The bad news for New England is, it likely means a payday much larger than what the Patriots can offer may be coming for him. 6) Watching this year’s defense over the final three postseason games was interesting from the standpoint of trying to ponder where they’ll someday sit in history when we reflect back on each of those players. Think about it for a second. At the time, none of us looked at players like Ty Law, Tedy Bruschi, Willie McGinest, etc. in the way we look at them now. After all, during that era, none of them were ever considered among the NFL’s elite because the Patriots weren’t really viewed that way back then. Fans knew they were good players, but it wasn’t until Bill Belichick arrived and took Pete Carroll’s roster and turned them into champions that they really became who they were. When you look at what New England did defensively this postseason, this isn’t exactly a group full of superstars. You can put Dont’a Hightower, Devin McCourty, Trey Flowers and Stephon Gilmore in the group of potentially elite players, but the remainder of this group is simply filled with just really, solid football players. The secondary was rounded out with guys like Jonathan Jones, J.C. Jackson, Keion Crossen, and Jason McCourty, along with safeties Duron Harmon and Patrick Chung. None of them get anywhere near the amount of respect outside of New England as they do by fans who see them each week. Up front, they had players like Adrian Clayborn, Deatrich Wise, Malcolm Brown and Lawrence Guy, none of which would ever be on the radar of fans outside of this region. The same can be said for linebackers like Elandon Roberts, John Simon, and Kyle Van Noy. Honestly, even most casual Patriots fans don’t even know who these guys are. Yet these are players who just put together one of the best defensive stretches in Patriots postseason history to capture the club’s sixth championship. One of the things that made guys Law, McGinest and Bruschi so great was the fact they did it over a sustained period of time, which obviously sets them apart but again, people didn’t really appreciate how good they were until this team went through a rough stretch without them. It’s like they say, you don’t appreciate guys like that until they’re not around anymore. That’s why it’s going to be hard not to wonder how fans may someday view players like McCourty, Chung, Hightower, and Gilmore, with players like Van Noy even hopefully earning a little more appreciation after putting together a terrific showing to cap off a pretty terrific year. Either way, it’s an interesting notion. What makes it even more curious is the fact that while many fans discussed how great they played defensively, the names didn’t seem to be joining the discussion of what they did on the field as they held one of the league’s highest-scoring offenses to 3 points. Oddly enough, even after a Super Bowl win, people still don’t seem to know who they are. The key to changing that will be seeing if they can build on this performance heading into 2019. If they can, maybe people will start paying attention. 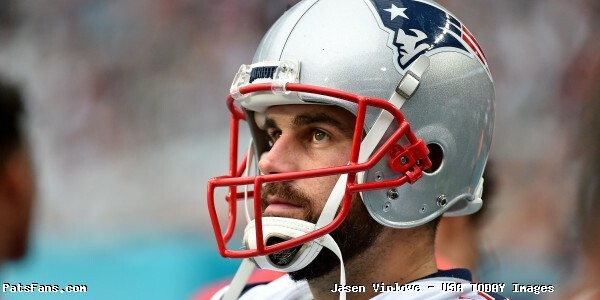 7) With the news that the Patriots weren’t using the franchise tag, the first player that came to mind was kicker Stephen Gostkowski, who appears to be headed to free agency. When you take into consideration how many kickers struggled last year, Gostkowski looks like he’s in for a potential payday and it could mean that the Patriots might have to spend this offseason looking for a replacement. For Gostkowski, there’s not much really left for him to prove. He’s already put together a Hall of Fame worthy career here in New England and there’s really nothing more positive that can come for him staying in Foxboro. Gostkowski missed just one extra point during the regular season and five field goals total, missing two from 40-49yds and 3 from 50+. He was perfect from 20-39yds. In the postseason, he missed just one field goal and was perfect on all his extra points. Yet, that didn’t stop the criticism and whispers that happened over the course of this season, as well as the year before when he hit a couple of bumps during an almost-championship season. As a result, if I’m Gostkowski, I would follow Adam Vinatieri’s lead and target a dome team with a lot of money in need of a reliable kicker, which would likely extend his career. He still has a strong leg and doesn’t seem to have lost any of his power, which is a positive sign for a player who has been among the best in the league for a while now. Gostkowski’s loss would be tough as he would mark the end of another solid career for another terrific kicker in Foxboro and leave the Patriots with some uncertainty at a position that he’s quietly been an afterthought since he’s been here. There have been people hoping for his departure not realizing how good he’s really been, which is unfortunate. For now, this may be something to watch over the course of the offseason and if Gostkowski does move on, fans need to recognize just how special his run has been and how replacing him might be harder than some might think. 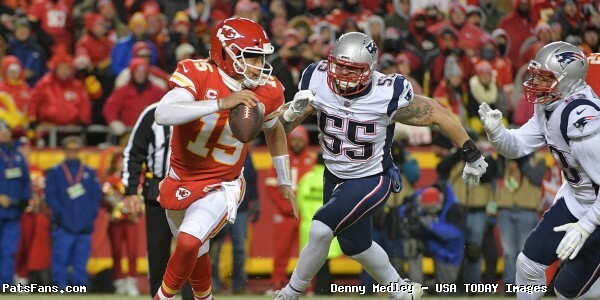 This entry was posted in 2019 Patriots Offseason, NFL Commentary, NFL News, Patriots Commentary, Uncategorized and tagged Andy Reid, Brian Flores, Julian Edelman, KC Chiefs, Miami Dolphins, Michael Bennett, New England Patriots, NFL OT Rule, Stephen Gostkowski, Tom Brady, Tom Brady extension, Trey Flowers on March 9, 2019 by Ian Logue.